SARASOTA, FLORIDA, March 22, 2018 – More new listings at West Villages have been added to the MLS of Sarasota homes for sale in recent weeks, as demand appears to continue rising in this master development straddling the boundary lines of Venice and North Port. 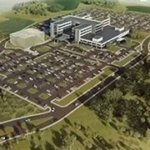 In 2017, sales in its five existing communities rose 17 percent to 992 units, thereby installing West Villages as fifth in the top 50 master-planned developments in the U.S. This upward momentum was carried over to January this year, with the total of 117 homes sold representing the highest monthly tally so far for West Villages. 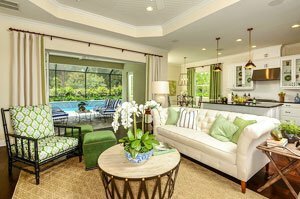 Grand Palm, a West Villages domain for Neal Communities, has contributed significantly to this recent increase, with 19 newly built residences sold by this Lakewood Ranch-based builder in January. Helping drive sales was Neal’s launching of eight new model choices at Grand Palm last year. This March, Neal launched at Grand Palm another four new models from its Celebration Series. These designs’ floor plans range from 1,812 to 2,731 square feet, featuring layouts of up to five bedrooms. Prospective buyers of Grand Palm homes for sale though need not wait long for a home to be built in this community. Some recent listings of move-in ready homes here may already earn their nod, including two options each priced in the $200s and with 1,255-square-foot floor area with two bedrooms and two baths. A larger Grand Palms choice with a tag price in the $400s also came onto the listing of Venice homes for sale this March. It features three bedrooms, two baths and a half-bath within a floor area measuring 2,231 square feet. Further steam on homes for sale at West Villages could be anticipated from the imminent official launching this year of marketing in its Oasis community near the intersection of Route 41 and River Road. Site development is winding up in this neighborhood with 60- and 70-foot wide home lots platted amidst a nature preserve. 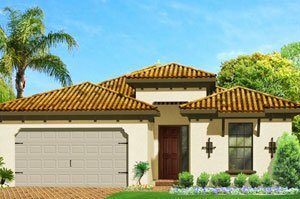 M/I Homes, Oasis’ builder, will offer home choices having floor plans starting from 2,100 square feet up to over 4,000 square feet. Their blueprint flaunts tile roofs, open floor plans, three-car garages and spaces for outdoor living. One of the newest communities in West Villages, the Renaissance Mattamy Homes is likewise experiencing brisk sales. Since its launch in August last year, eight sales were notched as per recorded data in the MLS of Sarasota homes for sale. Current sales listings in this community are priced between the high $200s and the $400s for choices of residences with floor areas ranging from 1,539 to 2,675 square feet designed with two to four bedrooms. At The Preserve at West Villages, which national builder D.R. Horton launched in September 2017, market absorption is likewise encouraging, and new-home choices were also sales-listed recently. The price points for these recent offerings are in the $200s up to the $300s and come in floor plans ranging from 1,526 to 2,034 square feet. Besides the wide variety of attractive homes offered at West Villages, market interest in this being driven by the construction of the Braves Spring Training complex which is expected to be operational by 2020. Another impetus to sales is provided with a planned new town center which will host retail shops and restaurants. Other local attractions include 10,000 acres of parks and trails, the campus of the State College of Florida, downtown Venice and nearby Gulf Coast beaches.